A durable, full-color, glossy pamphlet that explains clearly and simply the major errors of the SDA religion. A useful overview for a Sunday school class, personal study, or to be given to someone with questions about the SDA Church. 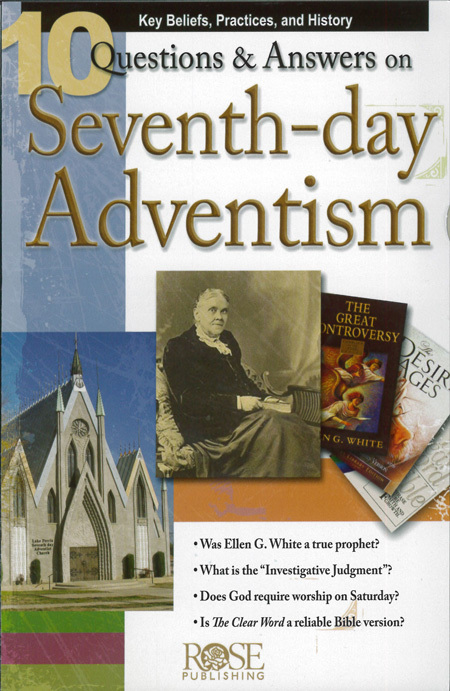 Answers ten questions including: Who was Ellen G. White (the SDA “prophet”)? Why do Adventists consider Sunday worship “the mark of the beast”? What is the “investigative judgment” (an Adventist doctrine that conflicts with the Bible’s teaching that Christ’s death fully pays for all our sins)? Includes a discussion of The Clear Word, a Bible paraphrase popular in the SDA Church that mistranslates a number of verses to fit SDA doctrine. A glossary shows how Adventists use some biblical terms with unbiblical meanings.